Portlethen tour pro Sam Kiloh, pictured, won the North-east Golfers' 36-hole championship over his home course today (WED). A second round of six-under-par 66, which included three eagles, followed up his first round of 70 at Duff House Royal last week. His aggregate of four-under-par 136 saw him win by two strokes from Kevin Duncan (Cruden Bay) who had a pair of 69s. 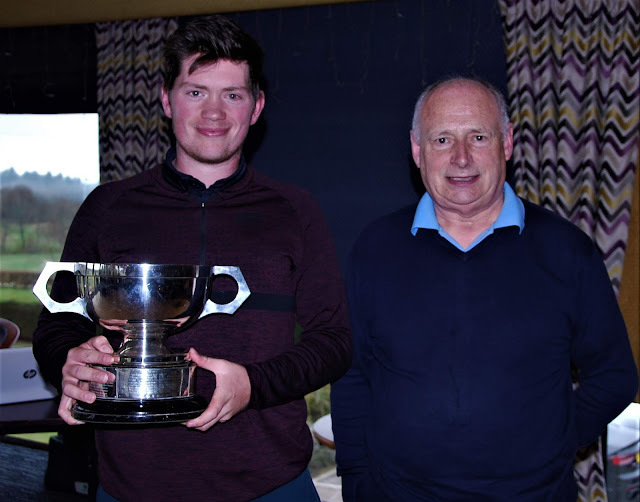 Professionals filled the first three places at the head of a field of 95 with Sam Griffiths (Dunes Golf Centre) third on 140 with scores of 73 and 67. Kiloh's 66 (33-33) was matched by the holder of the Alliance title, Chris Robb (Meldrum House) (35-31) who did not play in the first round at Banff last week. Second round at Portlethen (par 72). 95 N Chisholm (Kemnay), P Low (Craibstone).